Coastal communities are adapting their approach to fisheries management to secure fish stocks for the future. 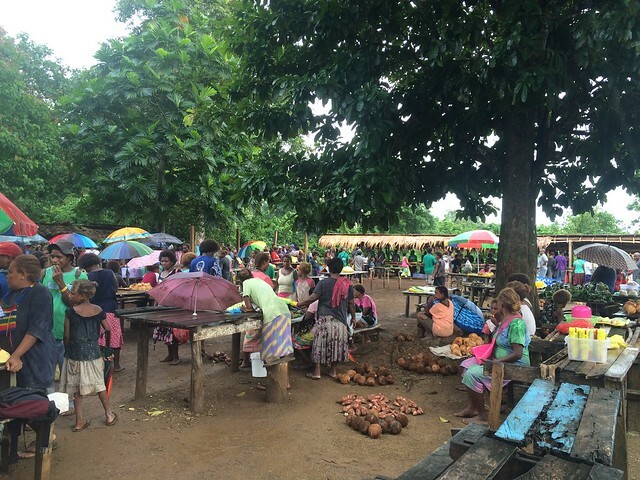 The remote island of Manaoba is home to five small communities, which like most of Solomon Islands rely on fish for food, nutrition and income. However, in recent years fishers in Manaoba have noticed declining fish stocks and the disappearance of certain species from their near-shore reefs. “At the moment we are experiencing a shortage of fish, so we need more supply in order to earn income to meet our family and other needs,” says Joe Sylvester, who has fished the waters around in Malaita Province since he was a teenager. 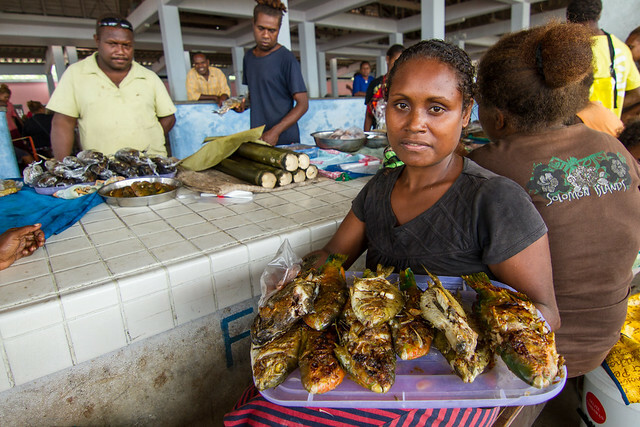 This sentiment is echoed throughout much of Solomon Islands, where factors such as population growth, increased demand for fisheries resources and the use of destructive fishing methods are placing valuable stocks under pressure. The WorldFish-led CGIAR Research Program on Aquatic Agricultural Systems (AAS) began working with Joe’s village of Fumato’o in 2013.During a visioning exercise, the community highlighted declining fish populations as a key challenge facing their village and identified the need to better manage their marine resources to improve fish supplies. 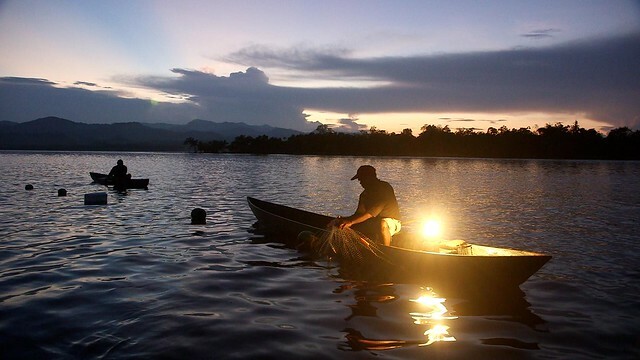 AAS supports a community-based resource management approach, which is also the principle strategy supported by national government policies for small-scale and coastal fisheries. This approach recognizes that communities are the owners and custodians of their resources and empowers them as stewards. 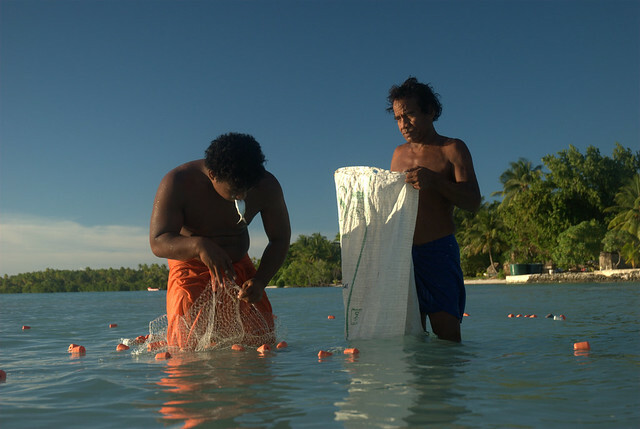 Traditionally, fisheries in Solomon Islands were often managed by establishing a tambu, an area that was closed to fishing for a set time frame to allow stocks to replenish before ceremonies or celebrations. Research by AAS has found that the success of tambus depends on many factors, including the local ecology, the ratio between how often they are opened and closed, and how intensely they are fished when opened to the community. Considering such variables, tambus may be most effective when used in combination with other fisheries regulations. AAS is providing scientific knowledge and guidance on combining customary practices with modern resource management strategies. One of the first steps the community took was to form a governing body to lead this process. “We decided to form a fisheries management committee, and we chose the committee members from the five tribes in the village,” says Joe, who was elected as chair. The committee controls and enforces which fishing methods and gears can be used within community-managed waters. 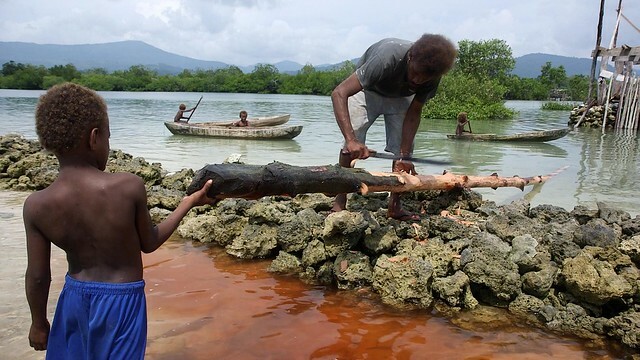 In 2014, the committee established a tambu that can only be fished for 1 week after 2 months of closure—balancing the immediate need for fish with long-term sustainability goals. 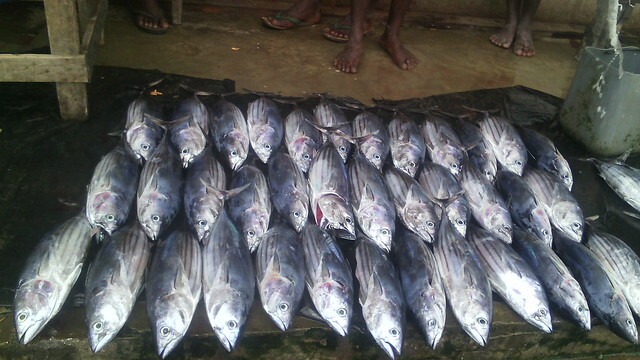 With guidance from AAS, the committee will record these regulations in a written management plan, which Joe will distribute to neighboring communities who share fishing grounds around Manaoba for their feedback. "Women, youth, everyone is involved in decision-making. It is important for everyone to have their voices and views heard,” says Joe. AAS research has found that strong local leadership and sustained community-wide awareness and involvement are key elements for effective, long-term community-based resource management. Joe believes that the program’s approach of bringing the community together to identify and work towards common goals has led to social as well as environmental improvements. “We have seen changes, not only with marine management, but with people’s behavior and attitudes in the community. The work we do together has resulted in cooperation and my people working together in this community,” reflects Joe. After operating their tambu for 1 year, fishers in Fumato’o have reported an increase in fish populations and biodiversity within the area. Through discussion with fishers and observation of changes in their catch, AAS will continue to work with the community to understand and measure these changes.